I walk into the video store on a Tuesday in May, and there, stretched before me, is the exact same scene I’ve enjoyed for decades: shelves chock full of eye-catching DVDs amid bins of microwave popcorn, yardsticks’ worth of licorice, and goo-candy packed tight into toothpaste tubes. Unquestionably, it’s a movie- (and candy-) lover’s paradise, but I go more for its time warp capabilities; the chance to return to a bygone era I figured I’d never again see. Which, to my mind, speaks to one of Eau Claire’s most alluring features: how even in the midst of such enormous growth, we remain staunchly committed to pop culture-related pieces of our past (see: our preponderance of Rollerbladers, Discman enthusiasts, and local radio’s insistence that Alanis Morissette remains as relevant as ever). Fighting the algorithms, I’ve learned, can be as simple as giving a 2-year-old carte blanche over you queue. Take her Sophia the First selection alongside my Kill Bill: Vol. 2, and together, we reduce those mighty machines to an irreconcilable mess of meta-data. Yet of our city’s many cultural entrances into the time warp, the pull of the video store is our most powerful. Its hypnotic appeal always bids us welcome, beckoning us to a nostalgia-filled past. * Though its heyday is far behind us, back when it was at full strength in 1989, the video store’s pervasiveness rivaled that of Starbucks today: there were 30,000 nation-wide stores to choose from. And choose we did: decades worth of dragging fingers along the tops of video cassettes at Premiere Video, Blockbuster Video, Family Video, Hollywood Video, and even the local grocery store; the latter of which provided a far more limited selection, but was a guaranteed stop, at least in my family, given our interest in food. These days, the video store serves an even greater purpose. Sure, it still allows us to track down a weather-worn copy of Cool Runnings in a pinch, but more importantly, it offers us the rarest of things: a mutually beneficial interaction with a stranger. Whereas streaming services such as Netflix rely on algorithms to suggest titles it thinks we’ll enjoy, the video store typically just relies on a guy named Keith, who can’t shut up about the secret scene after the credits in Ferris Bueller’s Day Off. 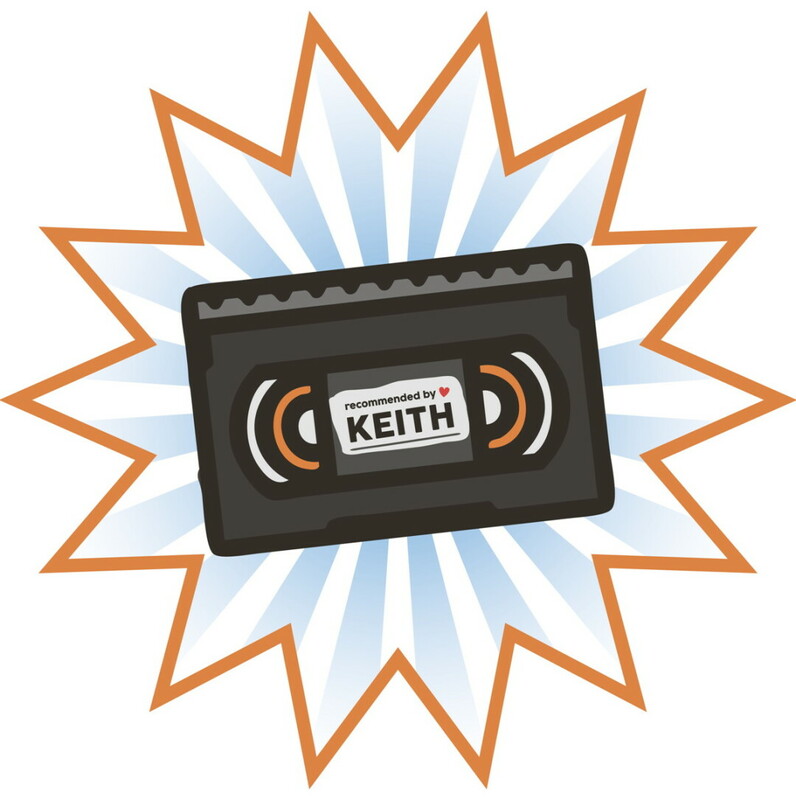 True enough, sometimes Keith’s encyclopedic knowledge of all things cinematic makes for an uncomfortably long conversation (“Can we just talk Star Wars mythology for a minute?”), but it’s a small price to pay for the reward: someone who treats you like a human rather than an information gathering tool. Lately, mostly out of my allegiance to Keiths everywhere, I’ve made it my business to prove the algorithms wrong, skewing the data simply to give myself the satisfaction of taking a win away from the robots. Fighting the algorithms, I’ve learned, can be as simple as giving a 2-year-old carte blanche over you queue. Take her Sophia the First selection alongside my Kill Bill: Vol. 2, and together, we reduce those mighty machines to an irreconcilable mess of meta-data. I know it’s petty. But in a world that hardly trusts us to trust ourselves, it’s refreshing to make a selection without an aggregate of stars and Rotten Tomatoes scores assuring us we’ve done the right thing. Here’s the good news: even if we do the wrong thing, make the wrong choice (rent Dunston Checks In, for instance), our renter’s remorse fades quickly. Our misstep becomes our merit badge: confirmation that we did it ourselves. In fact, renting the wrong movie can often prove empowering. How wondrous to learn that we don’t know ourselves quite as well as we thought. Of the many gifts the video store gives us – camaraderie, empowerment, Turner and Hooch – its greatest gift of all is loyalty. Renting a video is like going on a first date: No matter how well it turns out, you’re inclined to see it to its end. You do not call off the date midway through for fear there’s a better date waiting somewhere in your queue. Rather, you do what any decent person might: hope for the best, enjoy your time together, and make a good-faith effort at a love connection, even if it’s not meant to be. Take comfort in knowing that you were brave enough – and human enough – to take the risk. Which is precisely one more risk than the robots would’ve liked. You can take your algorithms; I’ll take my Keith. When the credits roll, let’s see who gets to happily ever after first.